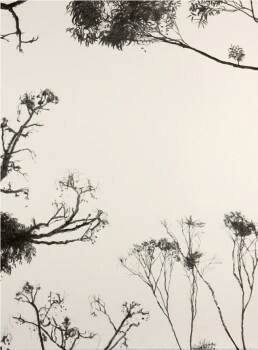 Time with the Sky/與天度日 was an art and poetry collaboration by Carol Archer and Christopher (Kit) Kelen. The project comprised a series of charcoal and mixed media drawings on watercolour paper ( 76 x 56 cm in size) and a poem in twelve parts. 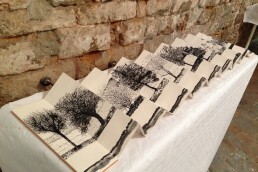 Art and text were presented together as both exhibition and publication. 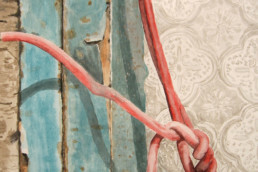 The collaboration originated from time spent in art practice in Australia. In July 2009, Archer and Kelen each had artist’s residencies at Bundanon, the bush property donated to the Australian people by prominent painter, Arthur Boyd. 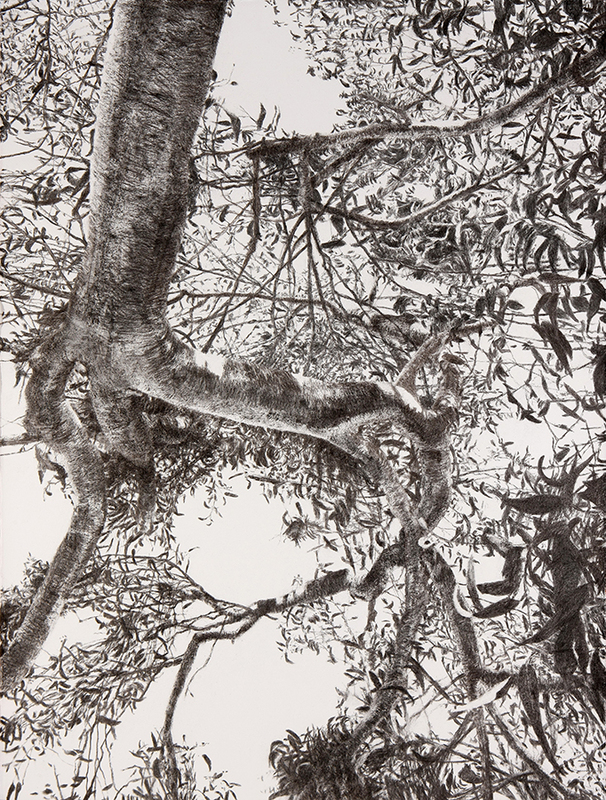 Long-time Hong Kong and Macao residents, Archer and Kelen found inspirational the opportunity to spend time in, and to respond to, the rural environment of Bundanon. 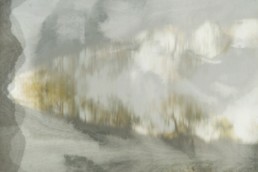 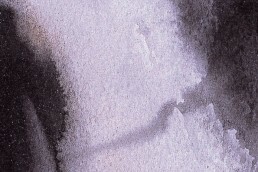 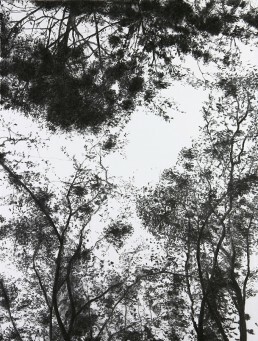 This work was exhibited in 2010 at the Artist Commune, Cattle Depot Artist Village, Hong Kong and at Lingnan University’s Fong Sum Wood Library. View the PDF of Time with the Sky. 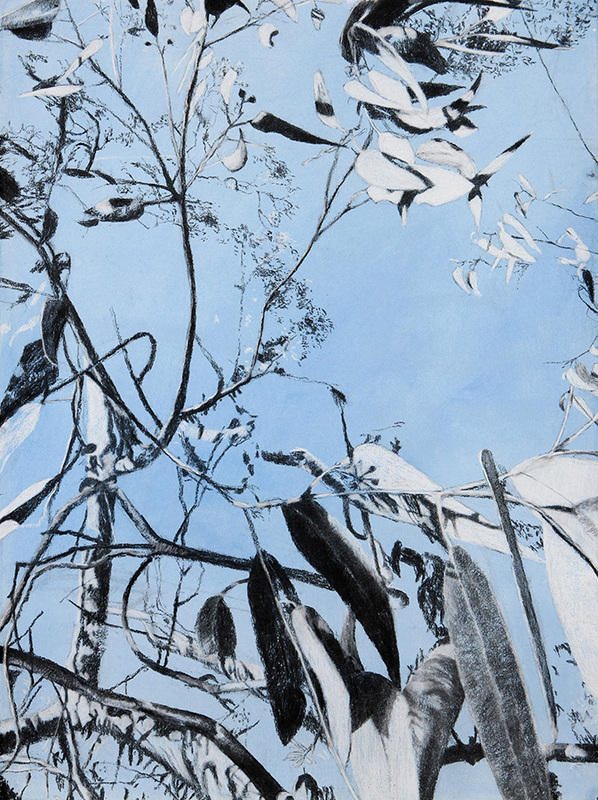 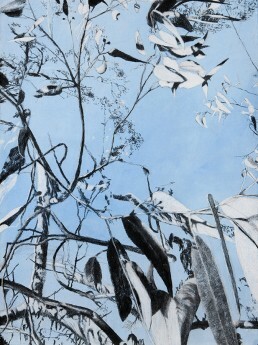 Time with the Sky #4, 2009-2010, charcoal and pastel on paper, 56 x 76 cm. 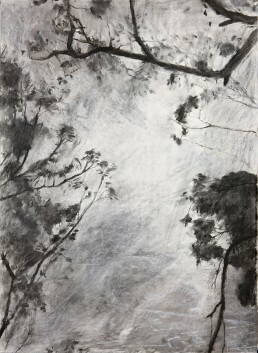 Time with the Sky #5, 2009-2010, charcoal and pastel on paper, 56 x 76 cm. 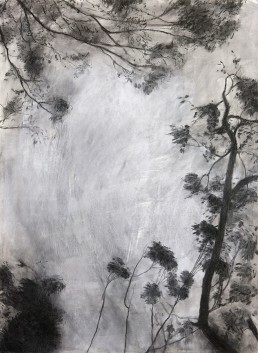 Time with the Sky #6, 2009-2010, charcoal on paper, 56 x 76 cm. 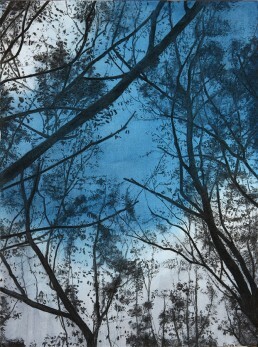 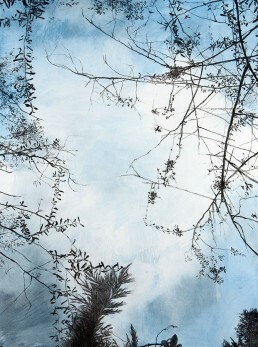 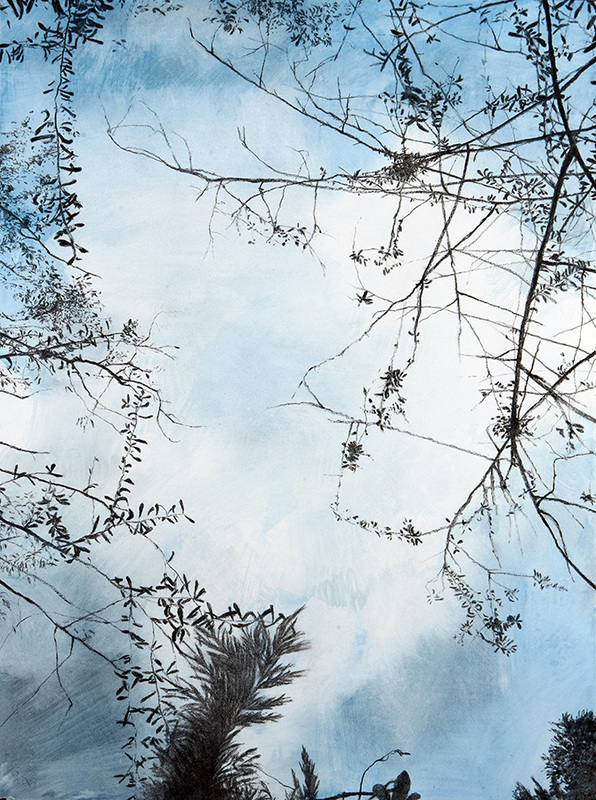 Time with the Sky #7, 2009-2010, charcoal and watercolour on paper, 56 x 76 cm. Time with the Sky #8, 2009-2010, charcoal and watercolour on paper, 56 x 76 cm. 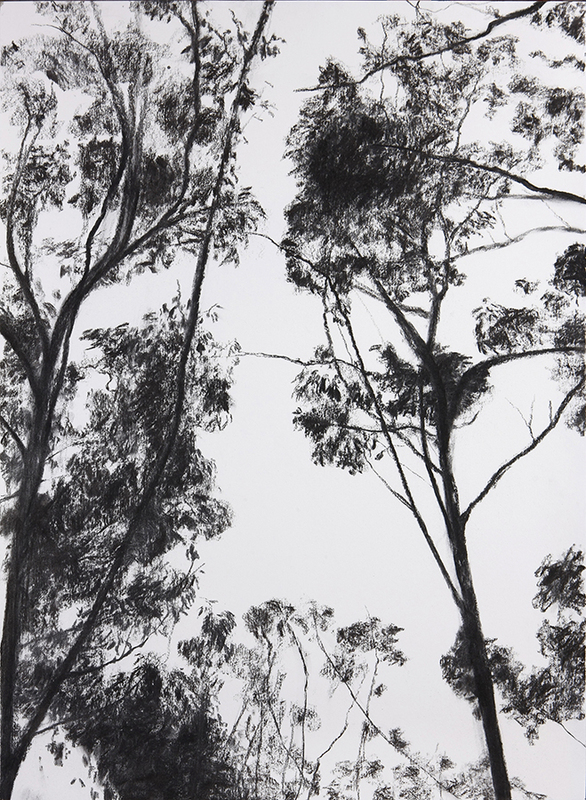 Time with the Sky #9, 2009-2010, charcoal on paper, 56 x 76 cm. 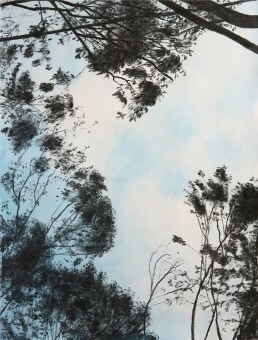 Time with the Sky #10, 2009-2010, charcoal and watercolour on paper, 56 x 76 cm. 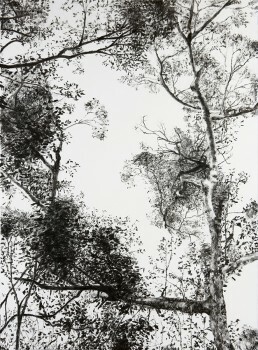 Time with the Sky #11, 2009-2010, charcoal on paper, 56 x 76 cm. 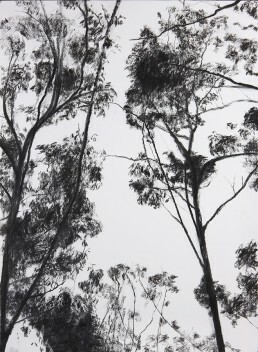 Time with the Sky #12, 2009-2010, charcoal on paper, 56 x 76 cm. Time with the Sky #13, 2009-2010, charcoal on paper, 56 x 76 cm. 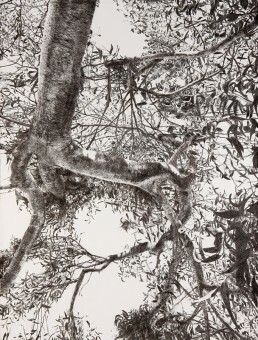 Time with the Sky #1, 2009-2010, charcoal on paper, 56 x 76 cm. 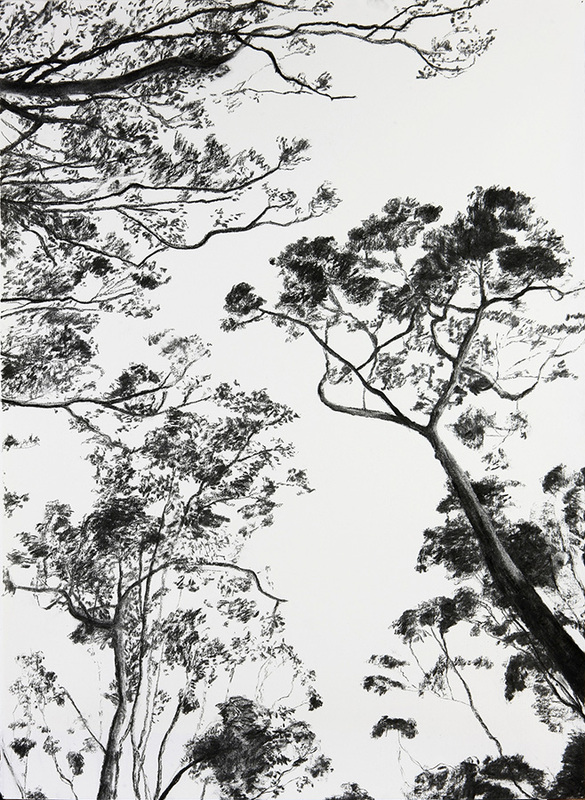 Time with the Sky #2, 2009-2010, charcoal on paper, 56 x 76 cm. 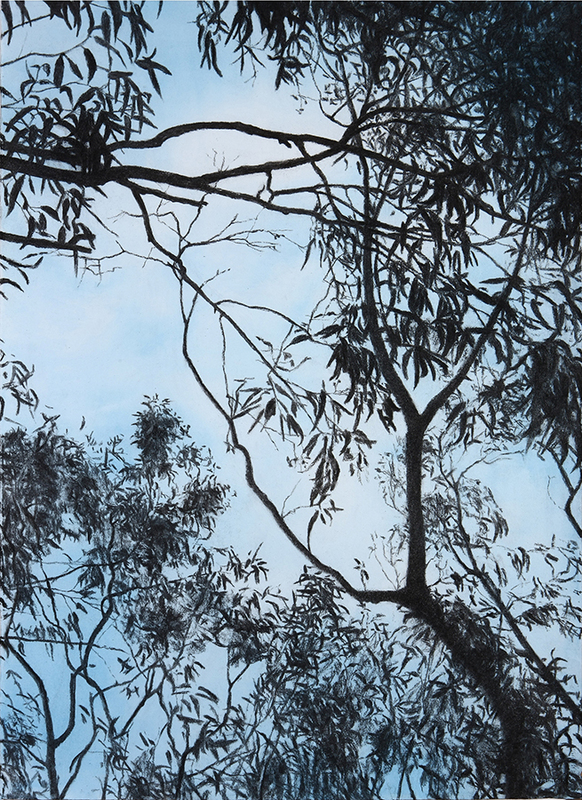 Time with the Sky #3, 2009-2010, charcoal and watercolour on paper, 56 x 76 cm.